What took Kyla so long? Her "Journey" being a newly-wed and being a mom gave her more ideas how to be the OPM icon we wanted her to be when she released her new album, "Journey" under Polyeast Records Philippines. It was a heart-warming bloggers conference today at the Polyeast Records with the RnB Princess Kyla who shared her newfound love and her continued passion to share her talent in the Filipino music industry. It was in between the honeymoon trips with the basketball star husband that she thought of writing down a song to inspire the fans. First time collaborating with Francis Salazar and Jungee Marcelo in her first track in the album with the song, "Kunwa-kunwari Lang", she realized her other potentials aside from what we know of her music to be slow and really nerve-wrecking belt tunes. The said song debuted on radio last month peaking #1 on RX 93.1 Daily Survey likewise gaining patronage in digital format via iTunes and www.spinnr.ph. She recalled the first time she met Yosha Honasan and the others and how it contributed to the more passionate and emotional Kyla she is now. "Dito Lang" features a throwback to her glory days similar to "Hanggang Ngayon" , Her own compositions include "Journey" and "I Got This" which mirrors many of her R&B hits with her co-writer Yosha Honasan. "Atin Ang Walang Hanggan" on slow-motion is also a must-have track included in the album. She also shared her stories of how her husband loved Brian McKnight who collaborated for the song "My Heart" they both sung during her Sunday show. Her husband PBA cager Rich Alvarez was the biggest fan of Brian McKnight and it was through him that she learned more of Brian's songs. Kyla renewed her contract with Polyeast Records. Join her in her Journey album tour dates: May 16 5pm Robinsons Metro East, May 25 5pm SM Fairview and May 31 6pm Ayala Center Cebu. 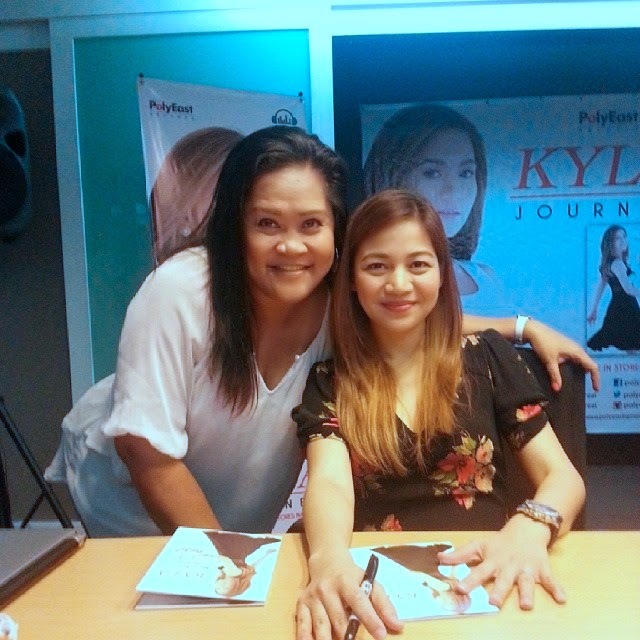 Kyla's Journey album is now available in all record bars and via download at iTunes and www.spinnr.ph. For more information, please visit www.polyeastrecords.com. Follow and like them on Facebook https://www.facebook.com/pages/PolyEast-Records, Instagram, Twitter and YouTube. Instagram and Twitter of Kyla is @kylareal and her Facebook is Kyla.